In order to optimize maintenance processes, Ubimax has developed the remote on-site service system “R. O. S. S.” for Kieback & Peter based on the Frontline solution xAssist. This enables service technicians at Kieback & Peter to exchange information directly with remote experts via Smart Glasses. Images as well as video and audio signals can be transmitted live via a bidirectional interface for service and documentation purposes. Thanks to the innovative solution, Kieback & Peter benefits from an increase in efficiency during service operations, the reduction of system downtimes, faster response times in the event of a malfunction, as well as considerable cost and time savings due to the fact that experts no longer have to travel to the customers' site. For us, R.O.S.S. is the basis for the upcoming development of service products. 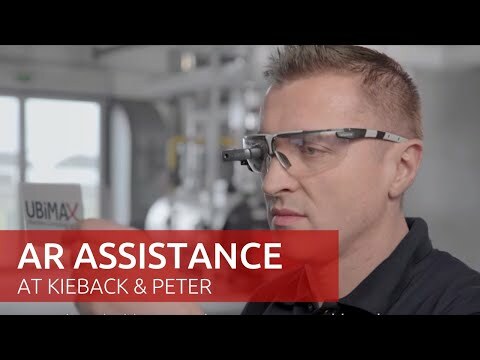 In the future, Kieback & Peter will continue to develop Augmented Reality solutions to ensure that our customers continue to receive the best service.